According to US History Professor Daniel Geary, in the early 1960s a consensus undermining any substantial contestation of America's foreign policy had appeared within the American society. Within this context, what room was left for radicalism and its legacy? Linguist Noam Chomsky, who emerged as a political activist in this very decade, argued for a paradigmatic shift: to call into question the democratic nature of the American government. Denouncing the United States' intervention in Vietnam, Chomsky questioned the assumption that underpinned the legitimacy of the United States' government. Namely that the United States championed the free-world as an absolute antithesis of the USSR's authoritarian regime. American Power and the New Mandarins, a collection of essays Chomsky wrote in 1968 and published in 1969, articulates his radical critique of US foreign policy and American democracy itself. In this way, Chomsky stands out among American radicals, who had until this point sought to include African Americans, women or labor within the American state, without calling into question its very legitimacy as a system. The political context of the 1960s was crucial to Chomsky's radical role within the public foreign policy discussions. The Cold War logic dominated both America's foreign policy and internal affairs. The US government portrayed the frenetic witch-hunt conducted by Senator McCarthy between 1950 and 1954 and the US intervention in Vietnam after 1965 as two aspects of the same issue: the consolidation of democratic ideals. The strength of Cold War discourse promoted by the United States left no room for radical critique in the 1950s and early 1960s. However, over the course of the 1960s, as the United States was digging itself further into the Vietnam morass, a protest movement emerged in the New Left. Defined by XXth Century US historians McMillian and Buhle as "a loosely organized, mostly white student movement that advocated for democracy, civil rights, and various types of university reforms, and protested against the Vietnam war", the term New Left was popularized by sociologist C. Wright Mills in his Letter to the New Left published in 1960. Although Chomsky was not formally associated with the New Left, he was both influenced by and influential within this radical movement. Chomsky firstly identifies who is responsible for the Vietnamese conflict and analyzes the logic behind the United States' intervention. He denounces the crimes of the United States in Vietnam in direct language to appeal to his readers' consciousness. He exposes the "horrifying reality" in Vietnam, which is "simply an obscenity, a depraved act by weak and miserable men." Such imagery allows Chomsky to capture his readers' attention before identifying three main culprits: the collusion between the liberal American administration and "scholarship liberal ideology", the media and the lack of political awareness of the masses under American's allegedly democratic system. Using the adjective liberal to describe both the US government and scholarship, Chomsky implies that elite ideology is as responsible for the intervention in Vietnam as the elites themselves. Chomsky argues that this ideology relies on a new, pernicious and invisible form of power, rooted in knowledge and technology. Chomsky names this Cold War elite "the new mandarins", implying that they form a closed group disconnected from the people. The incestuous relation between administration government and scholarship, Chomsky argues, allows the American government to mask its actions under the veil of a pseudo-objectivity. According to him, scholars provide an alibi to the administration for claiming that the government possesses the appropriate techniques required to manage America's postindustrial society. When technique fails, scholars' liberal ideology justifies the use of coercion to preserve order and stability. Standing in awe of technology, scholars spread the idea that only the administration has the technical expertise needed to monitor the people. In addition, because scholars adopt an elitist position and condemn popular movements and mass participation in decision making, they emphasize the necessity of supervision by those who possess the knowledge, and undermine the legitimacy of other sources of power. Finally, Chomsky attacks the Western-centered and imperialist nature of liberal ideology, which claims that the United States' policy towards the Third World is genuinely generous. Liberal scholars had established a biased interpretation of the conflict in Vietnam, that opposes the righteous cause of the South Vietnamese to that of the North, which implies that the US government has the "right" to restructure the South Vietnamese government. Chomsky blames liberal scholars for the US intervention in Vietnam: they had built a social scientific theory of the conflict subordinated to political power. The second culprit Chomsky identifies is the media, that spread government liberal ideology to convince American citizens of the validity of US foreign policy in Vietnam. For instance, when in 1967, 957 students refused to join the US troops fighting in Vietnam, the New York Times depicted these students as "a small but vociferous body of young and immature older war objectors [that] [...] incite[s] acts of anarchy that could destroy precisely the values [it] professes to defend." Chomsky denounces this pro-government narrative. Here, Chomsky's work as a linguist and his work as a political activist overlaps. His analysis of the media is indeed sustained by his theory that language constitutes a form of power. Chomsky indeed argues that language is not neutral. Within a discourse, each word conveys both a literal and an ideological meaning. In particular, the language used by the media reflects political power. For example, Chomsky accuses American press of representing the US government as "defending" rather than "attacking" South Vietnam. American press, Chomsky argues, silences the large-scale bombardment of South Vietnam by the US. 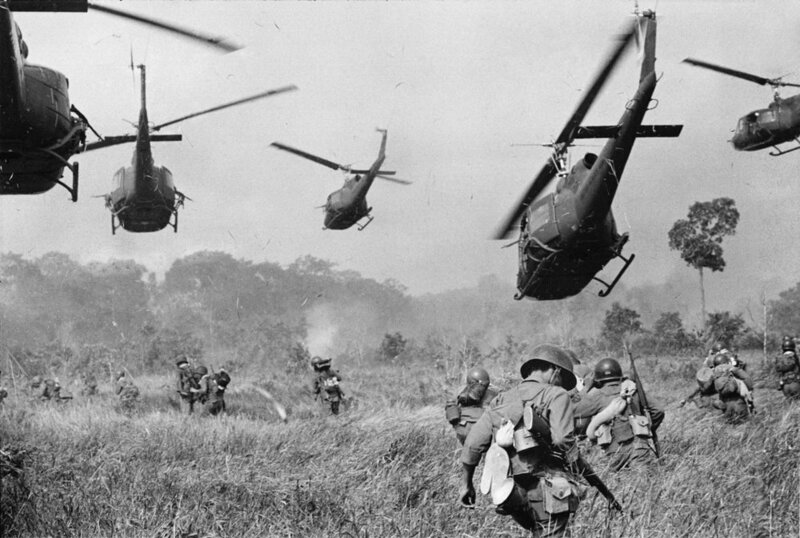 Describing the US army in Vietnam as passive rather than active belligerents, American media uses language to justify the legitimacy of American foreign policy. The third culprit Chomsky identifies is the lack of political awareness of the masses. Chomsky implicitly refers to Alexis de Tocqueville's 1835 Democracy in America, which discusses the possible dangers of democracy and argues that the American democracy would degenerate into soft despotism. In Tocqueville's terminology, soft despotism refers to a country run by a network of complex rules that gives people the illusion that they have a voice in the political system, when in fact they have no power over the government. Chomsky explains that the masses, "even under formal democracy", accept the values that have been inculcated deliberately by vested interests. These values have the statues of "unconsciously acquired habits rather than choices". Chomsky points out the passivity of the masses when they formulate their opinions. He denounces the way in which the masses accept values that stem from vested interests without realizing that their opinions are structured by these interests rather than their own. Liberal ideology, the elite, scholars, US administration and the media, Chomsky argues, alienate the masses and prevent them from formulating their own political opinions. This mechanism calls into question the very structure and legitimacy of American democracy itself. The US democracy is in fact solely "formal", and curtails citizens' critical thinking. In the following chapters of the book, Chomsky analyzes the role of radicalism within such a system and discusses the possibility for one to resist to it. According to Chomsky, the starting point of radicalism is indignation at the lack of empathy for the suffering of the Vietnamese people. On this ground, Chomsky reflects US historians Brick and Phelps analysis of the New Left's origins, according to which "the Vietnam War was revelatory for dissenters." As political activist Susan Sontag later suggested, Chomsky denounces how Americans citizens have developed a form of compassion fatigue when it comes to regarding the suffering of others. In Chomsky's analysis, the only appropriate response to this syndrome is to acknowledge the critical need to establish a new morality based on anarchist-based thinking, which should be the cornerstone of political awareness and engagement. This is the reason why Chomsky calls on his readers to act "both as a political and as a moral force." Because of the elite status of American intellectuals globally and in American society, Chomsky argues that they must lead a movement to displace Cold War scholars who serve as ideologues for those in power. Referring to Polish-American political scientist Zbigniew Brzezinski's, Chomsky stresses the crucial role that intellectual-dissenters must play. In the chapter "The Responsibility of Intellectuals", Chomsky argues that, despite their flaws, Western democracies provide a privileged minority of intellectuals with the opportunity to be heard. Therefore, it is the duty of intellectuals to seize this opportunity, and, in America, to call for the withdrawal of the American troops in Vietnam. Chomsky denounces the military means of the US intervention in Vietnam. He advocates that the end does not justify the means. According to Chomsky, AJ Must's critique of American atomic bombing on Hiroshima and Nagasaki, which states that "the means one use inevitably incorporate themselves into his ends and, if evil, will defeat him", should serve as a model for criticizing the US intervention in Vietnam. Chomsky argues that Must's critique is both realistic and moral, as it acknowledges that public policies cannot solely be based on moral principles yet it seeks to meeting out justice. In the case of Vietnam, Chomsky calls on radicals to become aware of the moral and concrete implications of the military means used by the American army. Chomsky continues by criticizing the legitimacy of the US intervention in Vietnam itself. He claims that "no legitimate interest or principle [...] justif[ies] the use of American military force in Vietnam." The American intervention relies solely on a Western-centered and imperialist vision of international relations, according to which "American armed force is here to defend the Vietnamese." By contrast, Chomsky echoes historian Howard Zinn and, calls for the US to turn Vietnam over to the Vietnamese. Chomsky highlights four reasons to do so. First, reports demonstrate that the Vietnamese population does not believe in the moral validity of the United States' intervention. Second, because this very intervention had not improved Vietnam's political situation. On the contrary this intervention had utterly unsettled Vietnam's political scene. Third, this intervention constitutes both a human and military disaster. Last, Chomsky refers to Marxism to demonstrate that to withdraw from Vietnam is historically justified. In the Epilogue, Chomsky quotes Marx's statement according to which Asian revolutions will ineluctably impact Western societies. Chomsky calls on the Western world to acknowledge that it must not intervene in Asian revolutions. He further argues that Western societies have been influenced by Asian societies to a greater extent than claimed by official Western historiography. Through this book, Chomsky therefore compares Western and Asian societies in order to challenge the imperialist view conveyed by liberal scholars that pictures Asia in general, and Vietnam in particular, as inferior to the United States. Chomsky's choice to use a Chinese-originated word, "mandarin", to qualify American power in the very title of his book, mirrors the author's project to question American government's imperialist understanding of Asia. According to Chomsky, it is not only intellectuals who must acknowledge the illegitimacy of US intervention in Vietnam or call for the withdrawal of US troops. It is also every citizen's responsibility to resist US imperialism. The notion of resistance is the core of Chomsky's activist program. Although he believes that resistance must be freely undertaken, he also asserts it as a moral obligation for every US citizen. Mass protest in the US, as opposed to the USSR, is legal and unlikely results in incarceration in a labor camp. It is therefore one's duty, Chomsky argues, to seize the right to resist. Echoing Henry David Thoreau's call for civil disobedience, Chomsky demonstrates that individuals should not let the US government rule their conscious. Following Thoreau's radical legacy, Chomsky argues that resisting means more than denouncing the US's imperialism in Vietnam. It also enables the citizen to dismantle the pernicious forms of power dominating American democracy. By embracing the two main intellectual legacies underpinning American politics, Chomsky could potentially reach out to a large audience. Echoing both the Enlightenment and the Protestant religious legacy of early American society inaugurated by Tom Paine in Common Sense, Chomsky uses an accessible and direct language to base his arguments both on reason and emotion. However, Chomsky's language is at times too direct and provides his readers with a simplistic and Manichean vision of American policies. This, in some senses, undermines the strength of his purpose. For instance, when he rigorously denounces the American intervention in Vietnam by referring to AJ Muste's pacifism, he writes: "if the United States persists on this course, the issue will be settled unilaterally through the exercise of American power, in the manner of Nazi Germany." Notwithstanding the violent massacres committed by the American army in Vietnam, to compare the Vietnam War with the Holocaust undermines Chomsky's point. Chomsky leaves his readers with very little room to manoeuvre: they either have to fully embrace Chomsky's radical critique or fully reject it. To conclude, American Power and the New Mandarins introduces a fundamental shift in the radical critique of American democracy. Instead of calling for a greater integration of minorities, Chomsky indeed argues that American democracy is by nature perverted. Doing so, the author reframes not only the role of intellectuals, but also that of the masses, within the American political system. It becomes every citizen's responsibility to resist the pernicious power of the American government, in order to hold it accountable for its foreign and domestic policies. To that extent, American Power and the New Mandarins presents a broad program, not one restricted to a critique of the American intervention in Vietnam. This program defines what it means for one to be a radical intellectual; namely to embrace the responsibility of free speech to denounce the flaws in American democracy. However, Chomsky at times delegitimizes his program with a prophetical and often simplistic critique of the American democracy. Nuances do not have their place within American Power and the New Mandarins, yet this might be the very essence of XXth century American radicalism. Daniel Geary, "Les Intellectuels américains et l’idéal démocratique", Cahiers d’histoire: Revue d’histoire critique, 108 (2009), 63. Daniel Geary, "Les Intellectuels américains et l’idéal démocratique", Cahiers d’histoire: Revue d’histoire critique, 108 (2009), 65. John McMillian & Paul Buhle, The New Left Revisited, Philadelphia: Temple University Press, 2003, 5. Noam Chomsky, "American Power and The New Mandarins" (Book Review). Berman, Ronald. The Historian 32.3 (May 1, 1970): 511. Noam Chomsky. American Power and the New Mandarins. New York: Pantheon Books, 1969, 4. The historical meaning of mandarin refers to the elitist cast of high officials that served the Chinese emperor until 1905, and that was selected based on technical and intellectual competitive exams. Noam Chomsky. American Power and the New Mandarins. New York: Pantheon Books, 1969, 27. Howard Brick & Christopher Phelps, Radicals in America. Cambridge University Press, 2015, 70. "From Dissent to Disorder." New York Times, November 26, 1967. Noam Chomsky. American Power and the New Mandarins. New York: Pantheon Books, 1969, 51. Noam Chomsky, American Power and the New Mandarins. New York: Pantheon Books, 1969, 22. Howard Brick & Christopher Phelps, Radicals in America. Cambridge University Press, 2015, 68. 14 Echoing Brzezinski's definition of what it means to be an intellectual-dissenter, Chomsky sustains that instead of being a house-ideologues for those in power, an intellectual must see his role largely in terms of proffering social critiques. Noam Chomsky, American Power and the New Mandarins. New York: Pantheon Books, 1969, 207. "On Vietnam." New York Times, June 5, 1966. As a prominent member of the New Left, and advisor to the Student Nonviolent Coordinating Committee, Howard Zinn was a pioneer critique of the legitimacy of the US intervention in Vietnam. In 1849 Civil Disobedience, Thoreau argues that one should not limit itself to critique slavery and the Mexican-American war, but rather broadly become aware of how the government infringes on individuals' consciousness. Noam Chomsky. American Power and the New Mandarins. New York: Pantheon Books, 1969, 222. By doing so, Chomsky verifies the Godwin's rule of Nazi analogies. In a discourse, to reach the Godwin point means that one has just discredited himself by making a comparison with Adolf Hitler of the Nazi regime.